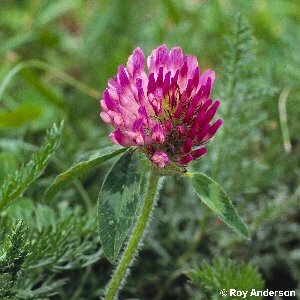 Red clover is one of our commonest wild flowers, occurring in grassland, pastures, meadows and a wide variety of grassy habitats. It is a fairly robust perennial species. 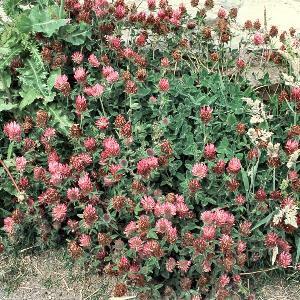 Although a native species, there are also introduced varieties which are sown for grazing, silage or hay, and can occasionally be found as escapes from cultivation. 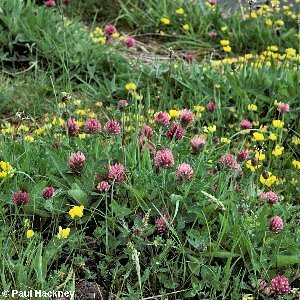 All names: Trifolium pratense L.